Would the Internet fall into your category of modern life’s top 3 necessities? If we’re being honest with ourselves, the Internet is something we simply cannot live without. Simultaneously, the Internet can also bring about much confusion & vexation to us & our homes. A lot of people have found themselves in this position. This article is part 2 of our series: Internet 101. Although routers & modems can be found in nearly every home in Singapore, many don’t know the purpose of each. It is never too late to get familiar! Are you part of a small percentage of people who are able to identify the above devices as a router or modem respectively? If not, what is the easiest differentiating factor between a router and modem? Well, an obvious physical difference would be that a router usually has about one to eight antennas (depending on the grade of router), visible on its sides, whereas a modem does not have antennas. Besides presence of antennas being a key physical difference, routers & modems also have unique functions in ensuring a smoothly hooked up Internet. Your router’s role is to allow multiple devices such as computers, laptops and smartphones to join the same network. Routers have ethernet ports located on its back for wired connections. For modern router models, they are also equipped to broadcast wireless signals for devices with wireless receivers. This allows direct connection using radio signals. However, getting your devices on a local network (LAN) with a router does not equate to access to the Internet. This is where a modem comes into play. A modem connects to your individual ISP which provides the broadband service, allowing access to the Internet. The usage of a router with a modem, creates a pathway for all devices connected to the router, access to the Internet. 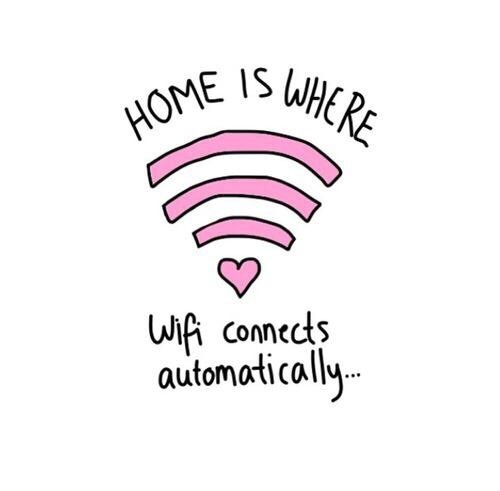 Routers & modems are indefinitely dependant on one another in providing a well connected home. Today, there are also routers & modems that are combined into a single device which help to simplify the installation process. If you are planning to make a router purchase from an external vendor, do remember to check with your ISP before purchasing as ISPs usually have their supported & preferred router brands. the router must be connected to a modem. Therefore, most routers have a specific Ethernet port that is designed to connect to the Ethernet port of a cable or DSL modem. A modem is a device that provides access to the Internet.